Here you can find research-based reports, produced by Global Government Forum and our partners and designed to help senior public officials both to improve their skills and expertise, and to develop their organisations’ capabilities. To gain an insight into how the world’s top civil servants see the challenges facing governments, take a look at the reports on our flagship events: the Global Government Summit, which brings together the people leading national civil services; and the Global Government Finance Summit, serving the officials heading up treasuries and finance departments. Alongside these, we present reports by businesses with deep expertise in governance and organisational development. Containing fresh research and analysis, these have been produced to help civil servants improve performance in fields such as budgeting, information security and workforce management. 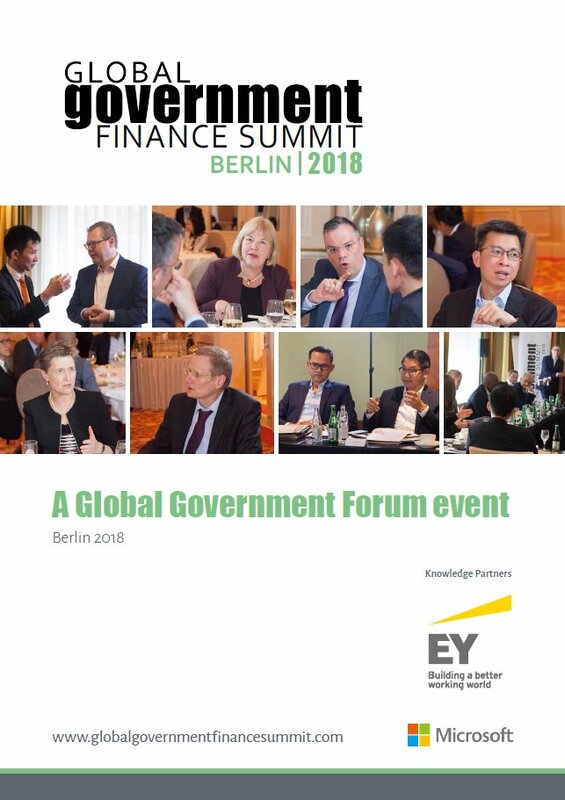 Please complete the form below to download the Global Government Finance Summit 2018 report. 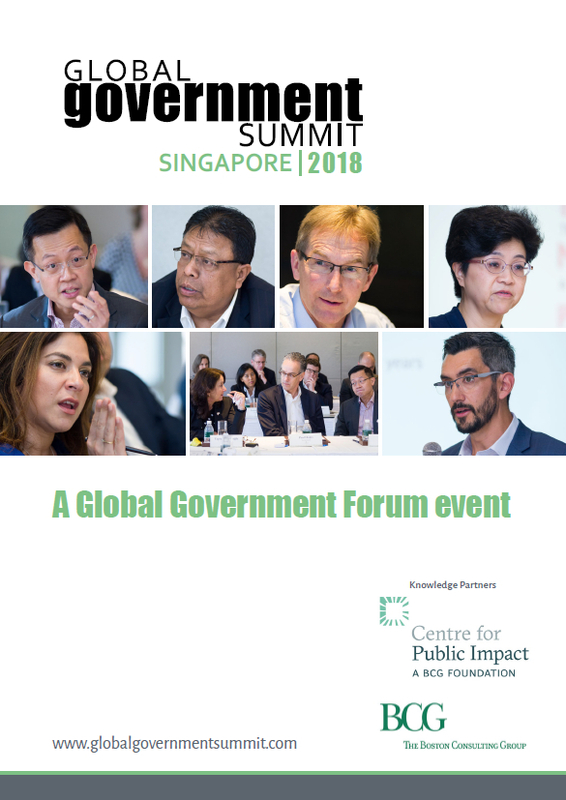 Please complete the form below to download the Global Government Summit 2018 report. 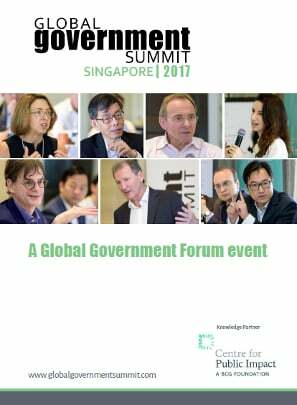 Fill in the form below to download Global Government Forum's report on the discussions held at the Global Government Finance Summit 2017. The Global Government Summit is an important and exclusive invitation only event, that brings together the heads of civil service from central or federal governments from around the world. This unique event supports heads of federal and central governments to share information and best practice on both their domestic, and global, government issues. Conversations that take place are intimate and frank. 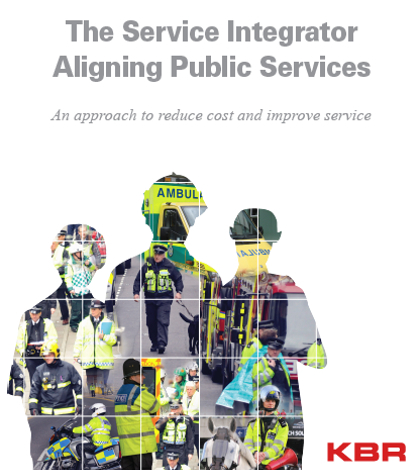 Discussions cover a range of issues such as global challenges and trends, governance challenges and positioning of public services for the future. You can download a summary report of the 2017 event below. 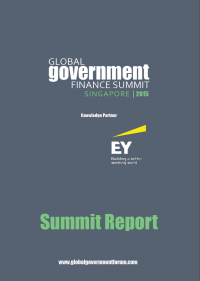 The Global Government Finance Summit was organised by Global Government Forum in association with Knowledge Partner EY. The Summit took place on 22 & 23 April 2016, Singapore. This exclusive invitation-only event brought together Permanent Secretary-level public officials from government treasury/finance ministries around the world with economics experts and private sector practitioners. To share, through candid and intimate discussions, governments’ domestic financial and regulatory challenges. This year's event was hosted by Mr Peter Ong, Head of Civil Service, Singapore. Heads of Financial Ministries in attendance included: Germany, United Kingdom, Botswana, Cambodia, Russia, Indonesia, Turkey and Finland. The event will take place again in 2017. You can download the report for the 2016 Summit by filling in the form below. The service integrator enhances operational delivery. It supports an authority’s operating model and holds the key to unlocking improved effectiveness and efficiency in service delivery. Download the full report to understand how it can help you. The cost of a Purchase Order can be assessed between the internal cost for the customer and the cost for the supplier. If the supplier takes on additional costs due to lack of transparency and collaboration in the demand and reconciliation cycle, then this in turn will be passed back to the customer through pricing, inaccurate fulfilment and delays. Numerous studies and reports have determined that the cost of the entire process for a company from “Request to Pay” can be anywhere between £40 and £300 depending on the efficiency levels within the company itself and the service levels provided by suppliers. This situation has prevailed despite the advancement and emergence of new technologies. It is surely time for change and realise the extensive savings and increase efficiencies that can be made. 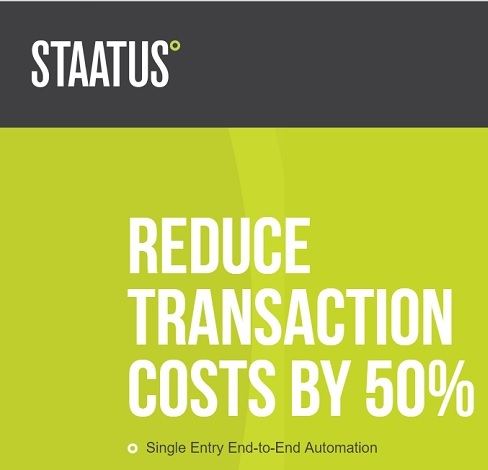 Download the full paper to understand how Staatus can help. the Eurozone crisis. The issue has raised questions about security, sovereignty and integration that could have a lasting social, economic and political impact on the European Union (EU). Much of the talk in recent months has focused on the migration “crisis” that Europe is facing. But as public opinion toward migration hardens in many countries, it is important to consider the longer-term implications for Europe. 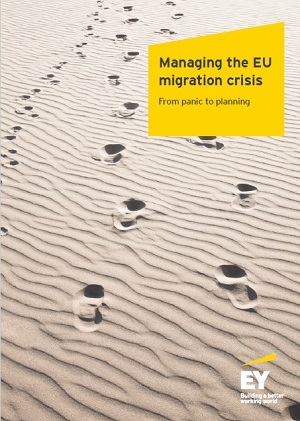 If managed well, migration can play a positive role in economic development and civil society. Download EY's full report by completing the form below. 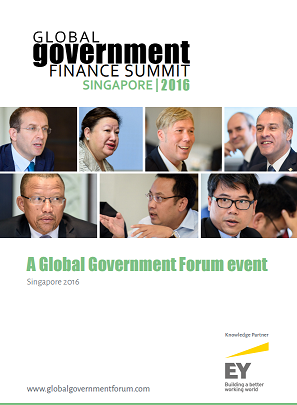 You can download a summary report of the 2015 event below. 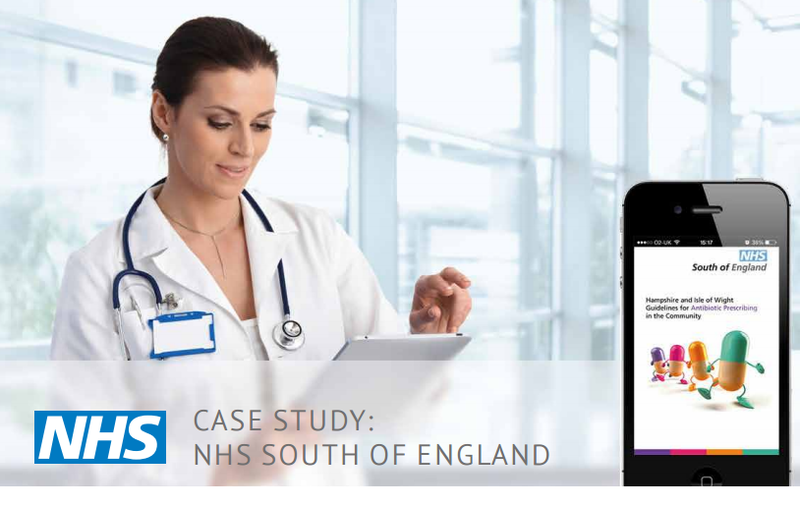 Read how the UK’s National Health Service (NHS) successfully improved its service and reduced costs with the NHS Antibiotics Guidelines app: a mobile app that delivers up-to-date guidelines for the prescribing of antibiotics, to GPs and clinicians throughout the UK and worldwide. Download the case study to see how they achieved it with Blue Frontier. You can download the case study by filling in the form below. Most organizations (67%) are facing rising threats in their information security risk environment, but over a third (37%) have no real-time insight on cyber risks necessary to combat these threats. 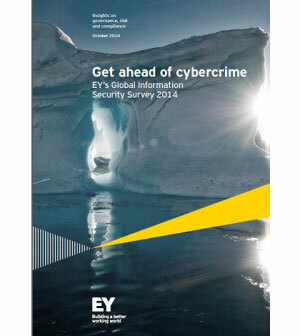 This is one of the topline findings of EY’s annual Global Information Security survey, Get Ahead of Cybercrime, which this year surveys 1,825 organizations in 60 countries. At EY, we describe megatrends as large, transformative global forces that define the future by having a far-reaching impact on business, economies, industries, societies, and individuals. We live in a world in constant motion. Goods, capital, and labor are traveling globally at a faster pace than ever and moving in novel patterns. Technological innovation, including digital, is rewriting every industry and the way in which human beings manage their lives. In this world, the ever-increasing acceleration of change is one of the few constants. 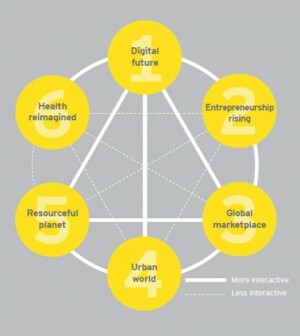 EY has identified six megatrends. We think that each has the present and future capacity to disrupt and reshape the world in which we live in surprising and unexpected ways. With each megatrend, we present a set of observations and facts designed to cover what we deem to be the most important and interesting aspects. While each stands on its own, there is clear interactivity. 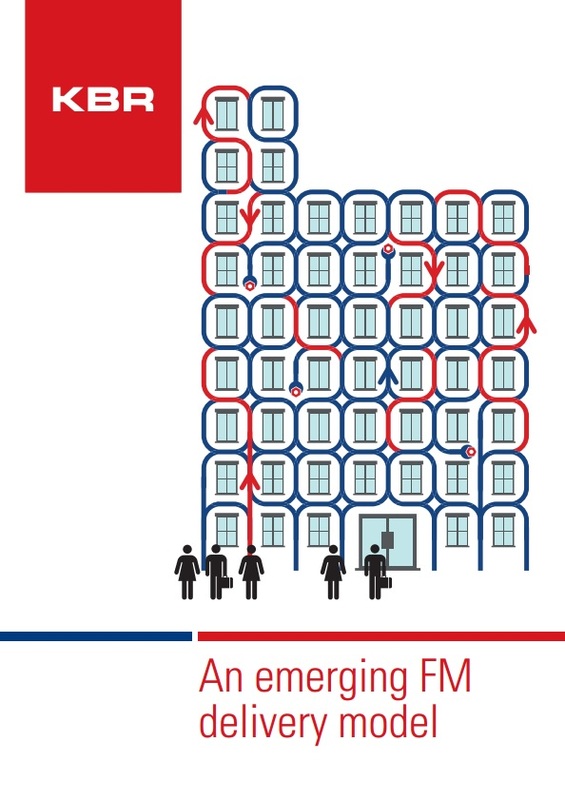 In total, they provide a “best guess” from where we sit today as to how these megatrends might unfold in the future. As with any exercise of this type, we don’t claim to have a crystal ball. We do, however, believe in the fundamental importance of thinking critically about the implications embedded in these megatrends today, as well as scanning the horizon for new developments. For EY, the megatrends process is one of the key ways in which we gain insights that inform our mission of building a better working world. The process helps us to better understand the challenges and opportunities that our clients face so that we can effectively respond to their shifting needs. In this spirit, EY invites you to peruse this report to consider how these megatrends might also be impacting your business, your partners and your customers — opening up new opportunities to achieve adaptation, growth, and success in the near- and longer-term future. Government finance professionals have endured much in recent years. The global financial crisis sent shockwaves through their profession, forcing them center stage as governments sought to first stimulate their economies and then, in many cases, implement sweeping deficit reduction proposals under fierce public, political and media scrutiny. Today, the global economy may have turned a corner, but this spotlight has not faded. Partly, this is due to the economic reality. As sluggish economic growth continues to grip many countries, lower than- expected tax revenues have left governments looking elsewhere for financial resources. Demographic changes, too, have played a key role. As populations grow and people live longer lives, policymakers face ever-growing demands for services. This means that the capacities of welfare, health care and infrastructure must grow and change to cope with the public’s evolving and increasing needs, lacing further pressure on government balance sheets. As a result, public financial management has emerged as a key and permanent priority of any government. The application of clear and consistent policies, controls and procedures is now recognized as crucial to ensuring wiser spending and the efficient deployment of resources. This is hardly straightforward. Ours is now a world of deeply interconnected global economies, one shaped by different patterns of labor markets, capital flows and consumer markets, all of which are globalizing faster and deeper than ever before. In these times of profound change, where governments are rethinking how they do business, finance professionals need to be highly flexible. They need to be able to adapt much quicker to new directions from government, but also to new demands from citizens and new issues that may not have been previously foreseen. Greater public accountability for their actions is also inevitable in the context of more sources of information than ever before. The same networks and technologies that are transforming society at large will need to be used to transform governments, changing the way they work and engage with citizens. Similarly, finance professionals need to bring a global mindset: strengthen the public’s ability to assure public accountability, to measure performance accordingly, and to support public reforms. This approach will enable government finance professionals — and public sector leaders as a whole — to look beyond electoral cycles, national borders and outmoded organizational boundaries. Seeking to maximize the financial efficiency and effectiveness of their services and operations is an ambition of governments the world over. 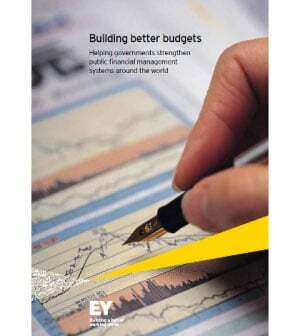 Find out how EY can help, download our report by completing the form below. Eight countries were represented, with delegates including Hans Back, Director, Swedish Civil Service; Tatiana Janeckova, Secretary General, Government Office of the Slovak Republic; Lord Gus O’Donnell, Former Cabinet Secretary and Head of the UK Civil Service; Dr Peter Bartodziej, Director, Central Services, German Federal Chancellery; and Coleen Volk, Deputy Secretary to the Cabinet, Canada. 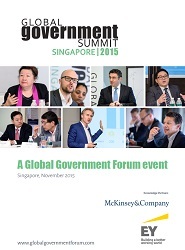 You can download a summary report of the 2014 event below. 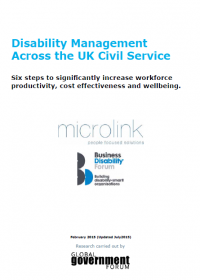 Following on from Global Government Forum’s UK Government Leadership Survey, Microlink plc have published this research report ‘Disability Management in the UK Civil Service’. 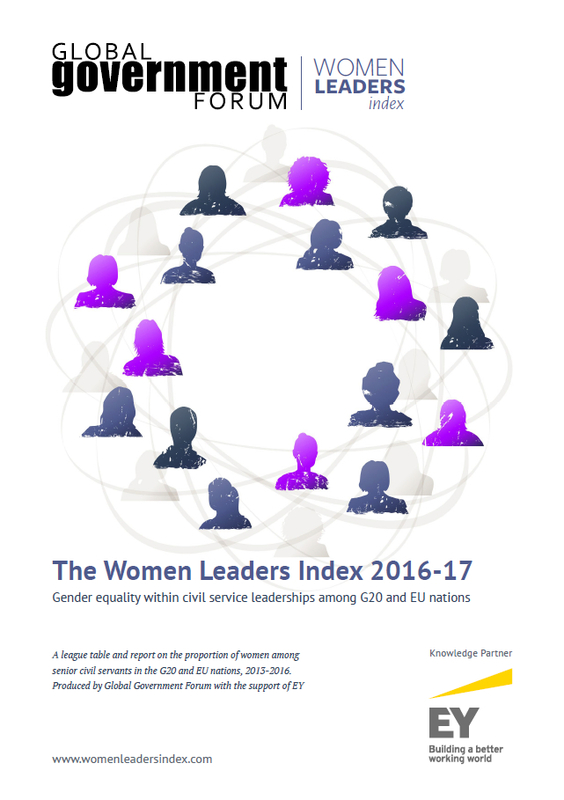 The report contains exclusive data from independent research carried out by Global Government Forum, as well as key case study data from Lloyds Banking Group and analysis of data published by the UK Civil Service. Together the data shows the current landscape across the 400,000-strong UK Civil Service, and provides six key recommendations to increase workforce productivity, cost effectiveness and wellbeing. You can download the full report by filling in the form below. 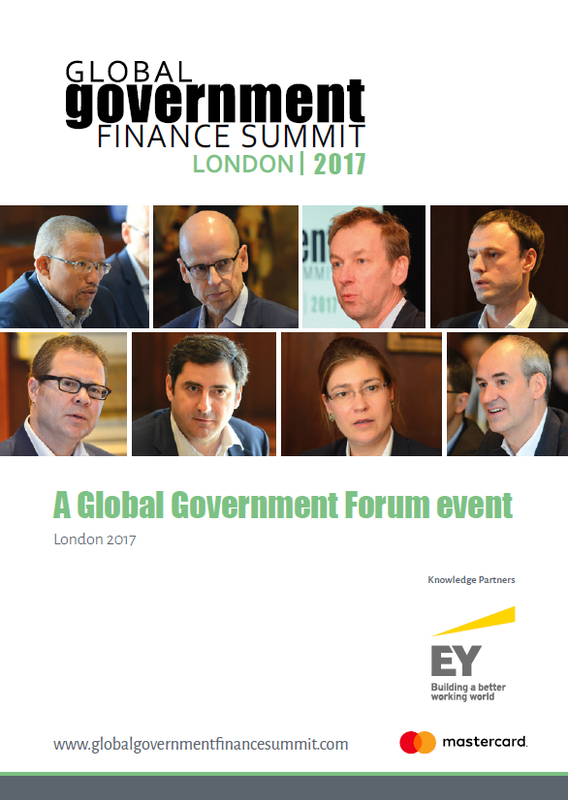 The Global Government Finance Summit was organised by Global Government Forum in association with Knowledge Partner EY. 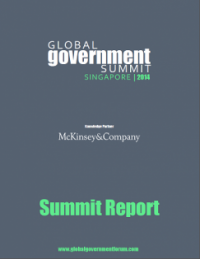 The Summit took place on 10 & 11 April 2015, Singapore. This year's event was hosted by Mr Peter Ong, Head of Civil Service, Singapore. Heads of Financial Ministries in attendance included: Angola, Bahrain, Finland, Germany, Iceland, India, Indonesia, Kuwait, Latvia, Malaysia, New Zealand, Oman, Russia, Singapore, Turkey, United Kingdom. The event will take place again in 2016. You can download the report for the 2015 Summit by filling in the form below.